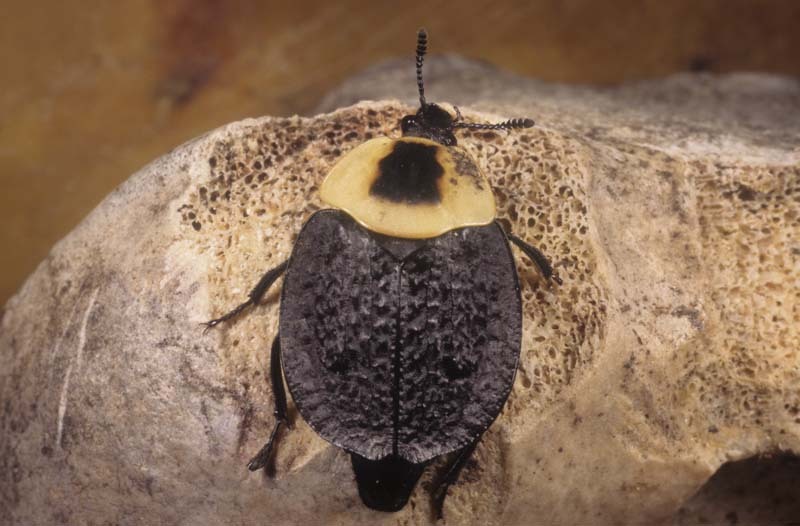 The distinctive American carrion beetle (Necrophila americana), Silphidae: Coleoptera. 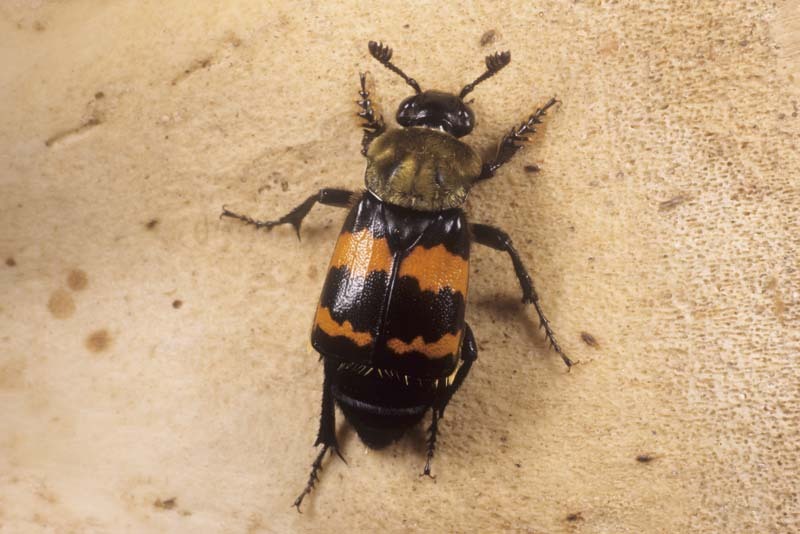 A brightly colored carrion beetle (Nicrophorus investigator), Silphidae: Coleoptera, sometimes found at remains. 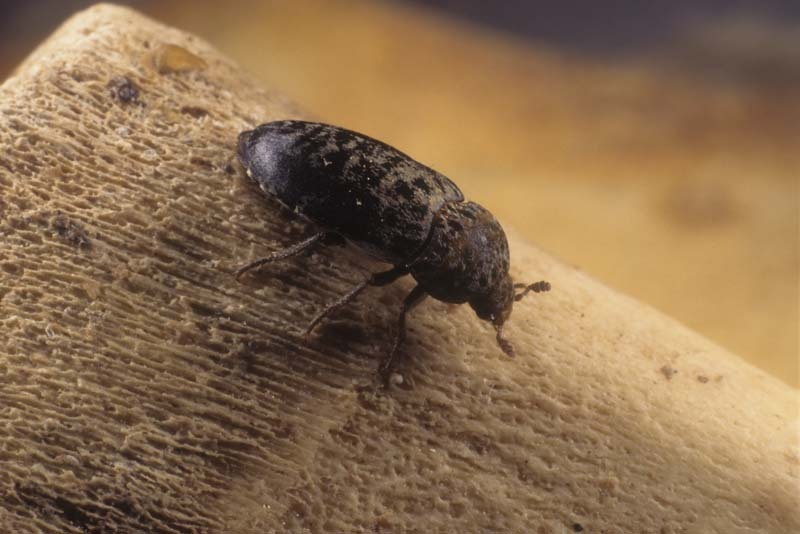 One of the smaller, less colorful carrion beetles (Oiceoptoma noveboracense), Silphidae: Coleoptera. 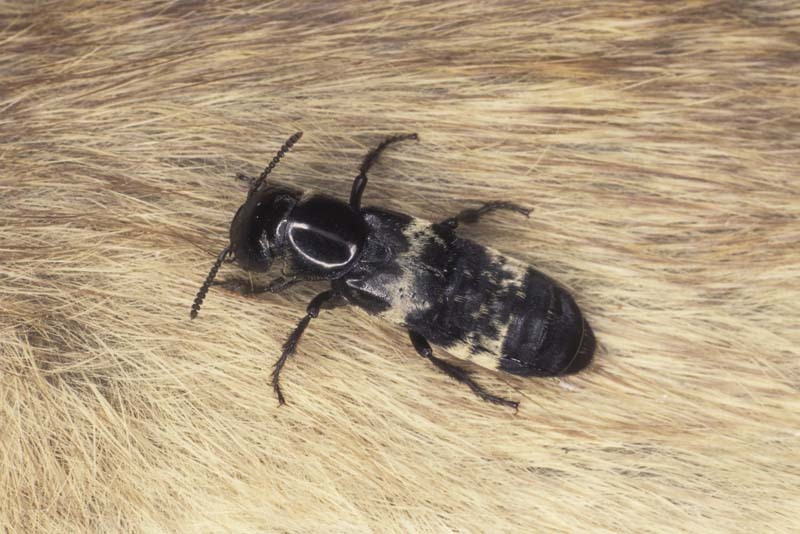 A dermestid or skin beetle (Dermestes caninus), Dermestidae: Coleoptera. 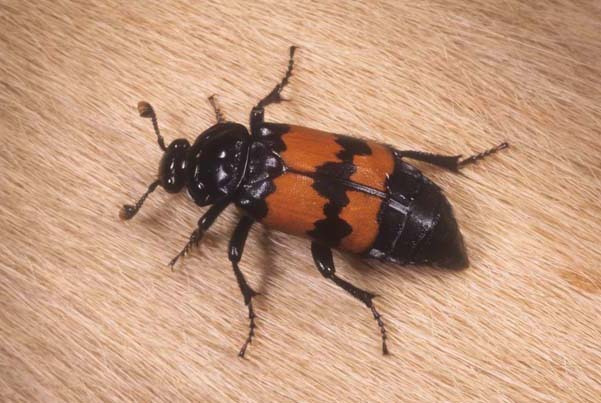 The gold-necked carrion beetle (Nicrophorus tomentosus), Silphidae: Coleoptera. The hairy rove betle (Creophilus maxillosus), Staphylinidae: Coleoptera, often found at remains in large numbers. 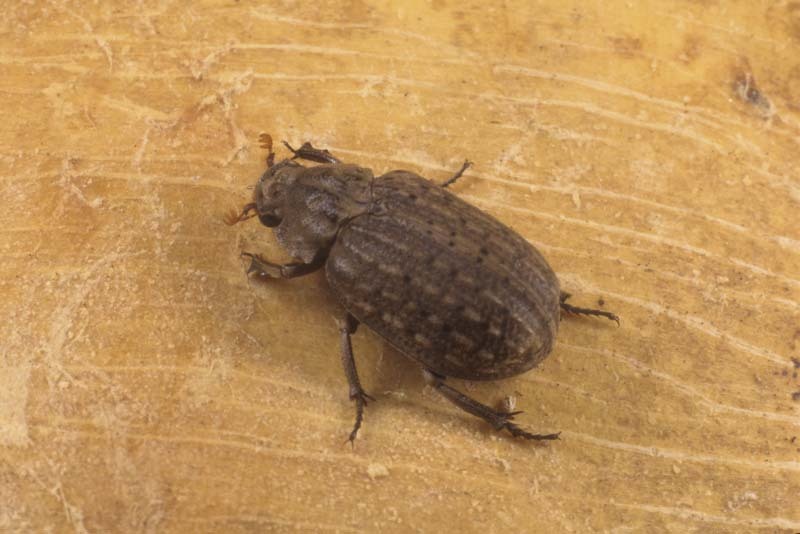 A hide beetle (Trox sp. 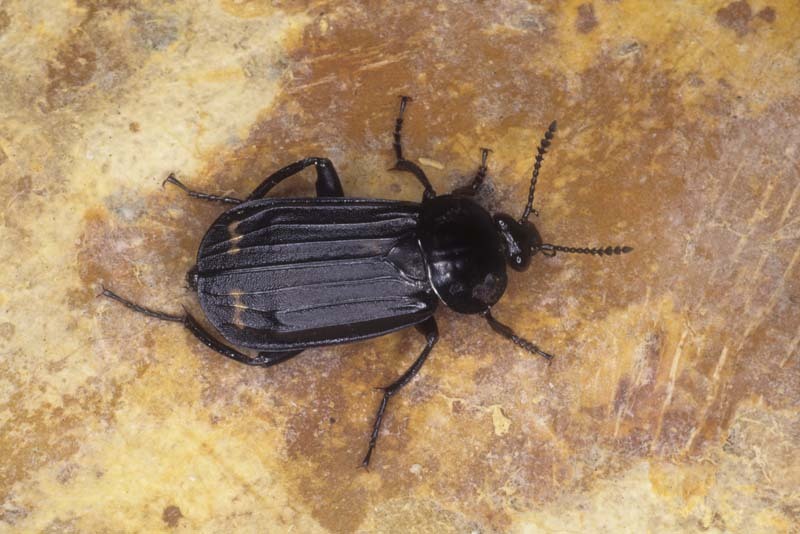 ), Scarabaeidae: Coleoptera, one of the species found at drier remains. 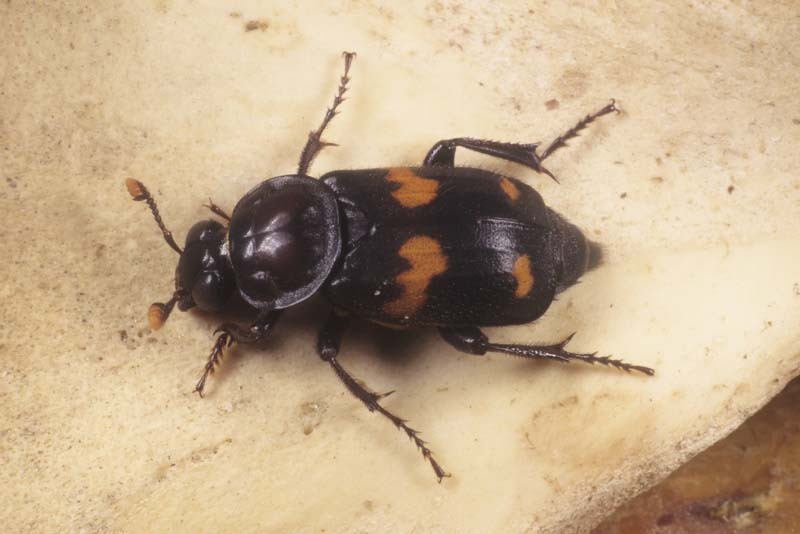 A sexton beetle (Nicrophorus orbicollis), Silphidae: Coleoptera. 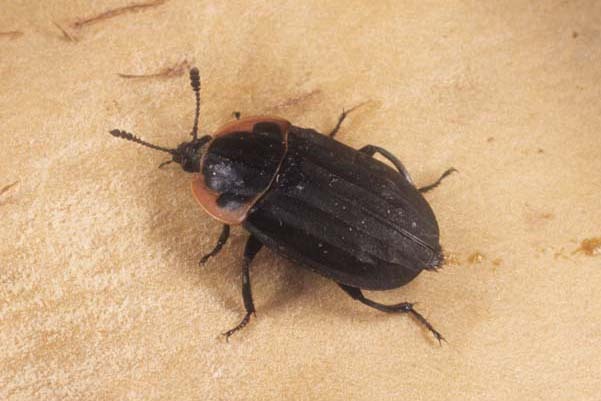 The Surinam carrion beetle (Necrodes surinamensis), Silphidae: Coleoptera, has a distinctive shape and markings.